Picasso painting sold at auction for record $179 million. “Les femmes d’Alger (Version O)” painted by Pablo Picasso is displayed at Christie’s on May 11, 2015 in New York City. Ebay, this was not. 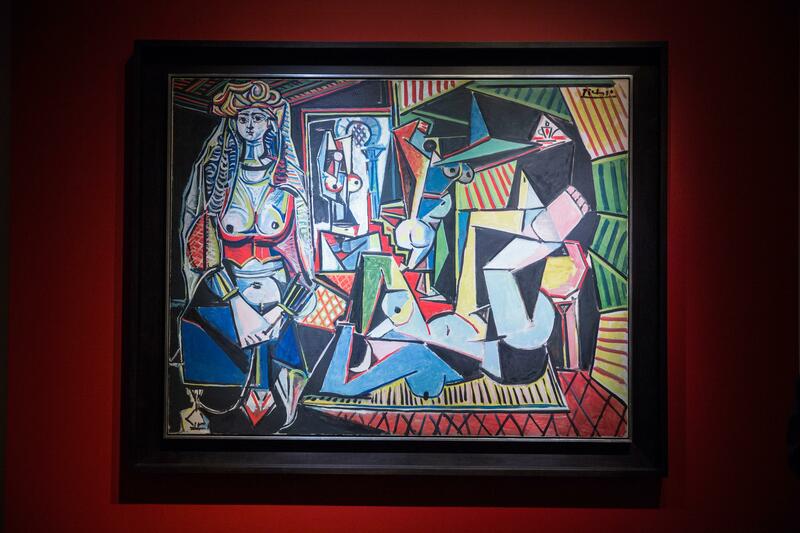 On Monday night, Pablo Picasso’s “Les femmes d’Alger (Version ‘O’)” painting set a new global auction record when it sold for a whopping $179.4 million. It took all of 11 minutes of bidding to far exceed the estimated auction price of $140 million for the 1955 work that was last sold at auction in 1997 for $31.9 million. The New York City auction price bested the previous auction record of $142 million paid for Francis Bacon’s “Three Studies of Lucian Freud” in 2013. The price of globally sought after pieces of art continues to skyrocket with Monday’s auction expected to rake in some $2.5 billion. “I don’t really see an end to it, unless interest rates drop sharply, which I don’t see happening in the near future,” Manhattan dealer Richard Feigen, who probably grew up loving art for art’s sake, but now says things like this for a living, told the Associated Press.